This Galaxy S5 trick is an old one, but a good one. And it's one you'll certainly want to use. For those of you who are coming to the Samsung Galaxy S5 from another Samsung Galaxy phone, you'll be right at home here. Taking a screenshot on the Galaxy S5 is exactly the same. Get the screen that you want to capture ready to go. Simultaneously press the power button and the home button. It can be a bit of a stretch on these larger phones, but it works. You'll hear the camera shutter sound fire off, and that's how you know you're good to go. 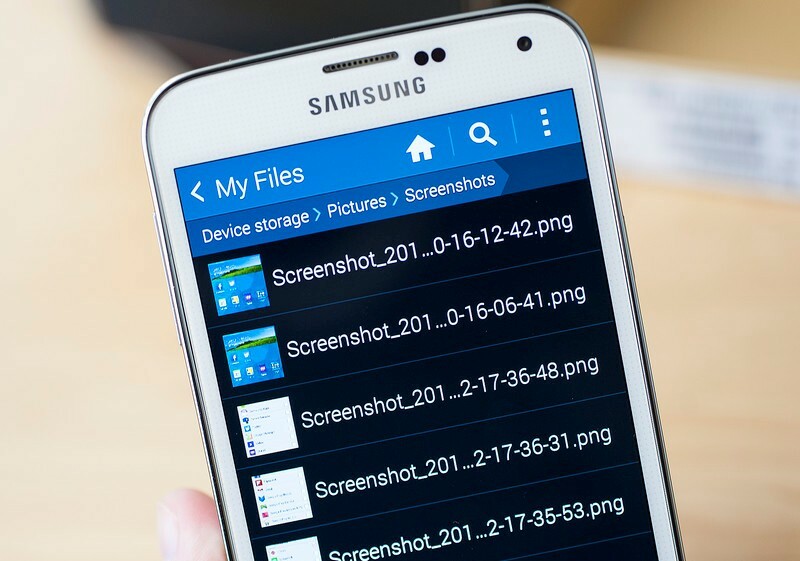 You'll now be able to see the screenshot in the Gallery app, or in Samsung's built-in "My Files" file browser. If you need to find the screenshots from a command line or through the Android File Transfer tool, they'll be in /pictures/screenshots. Now this one's cool. And it's not new to Samsung, but it's still pretty neat, and it's enabled by default. Tilt your hand up onto its side, with your pinky facing down. Now swipe it across the screen, and make sure you actually touch the screen. Boom. Galaxy S5 screenshot. How cool is that? 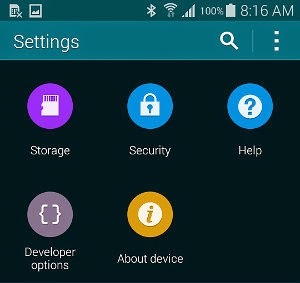 As has been the case since Android 4.2, the developer options have been hidden by default from your Android settings menu. This is a good thing, actually, as it'll keep curious minds from potentially breaking things. It also helps keep your phone more secure. But there are plenty of reasons why you would want to enable developer options on your Galaxy S5. If you want to plug in to a computer and do any sort of command-line work, this is going to be your first stop. Or if you need some extra debugging options as a programmer. Or, maybe you are that sort of curious creature who just wants to see how things work. Nothing wrong with any of that. But, of course, you're going to first have to turn developer mode on for your Galaxy S5. Here's how to do it. From there, you can enable any number of Galaxy S5 developer options at one time. We usually start with USB debugging. If you ever want to turn off developer options wholesale, there's a toggle at the top of the section. This won't hide the options from prying eyes, however. But it'll keep you from accidentally enabling any of the options.